Rivers United defeat Rayon Sport two-nil in CAFCC Playoff first Leg – Royal Times of Nigeria. defetRivers United defeated Rayon Sport of Rwanda two-nil in their first leg CAF Confederation Cup playoff in Port Harcourt on Sunday. 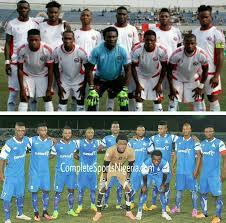 Goals from Emeka Atuloma and Guy Kuemian gave Rivers United the win. 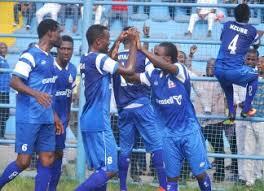 Atuloma gave Rivers United the lead in the 29th after volleying in Ifeanyi Nweke’s cross. Rivers United continued to press the visitors for more goals but couldn’t add to their solitary lead in the first half. But in the 51st minute, Guy Kuemian scored what proved to be the winning goal as he volleyed home from 25 yards to seal the win for Rivers United. The return leg will take place on Saturday, the twenty-second of April 2017 in Kigali. Nigeria’s other representative in the CAF Confederation Cup Enugu Rangers crashed out of the competition after losing three-nil in their second leg tie against Zesco United of Zambia on Saturday. Zesco progressed into the group stage five-two on aggregate.